Our Colorado Springs car accident attorneys provide FREE case consultations. That’s good news, considering that according to the National Highway Traffic Safety Administration (NHTSA), more than 6.2 million car accidents occurred across the United States in 2015. Of those, more than 2.4 million people were injured and 35,000 were killed. This amounts to 96 fatalities every single day. While some of these car accidents resulted in minor injuries and damages, a large portion of them were catastrophic, causing severe life-threatening injuries. If you have been injured in a car accident, you may have many thoughts running through your mind. How will I pay for my hospitalization? Will I ever truly recover from these injuries? What if I am unable to work again? How will I provide for my family? During this stressful time, insurance companies will often offer accident victims a quick and easy settlement. Sadly, this is only a fraction of what you may need to fully recover. 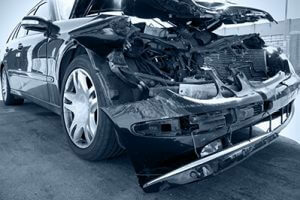 When this occurs, it is wise to speak to an experienced and skilled Colorado Springs car accident lawyer immediately. Your attorney will be able to negotiate with insurance companies and obtain the maximum compensation for your injuries and for any damages that have occurred. In Colorado, however, time is of the essence. Car accident victims only have 2 years from the date of the injury to file a claim. After your car accident, you may be struggling to recover from your injuries and pay for rising medical expenses. To make matters worse, you may be unable to work and that loss of income could put your family into serious financial hardship. If you were not to blame for your accident, you may be able to file a claim against the responsible party to recover money to pay for medical expenses, lost wages, loss of future earnings, rehabilitation expenses, and pain and suffering. Your Colorado Springs car accident attorney can review your case and investigate all angles of your accident to build a case that is designed to obtain maximum compensation. At the Rector Law Firm, our Colorado Springs car accident attorneys have the experience and resources necessary to obtain justice for our clients. We will go to work immediately from the beginning to build a case carefully and preserve evidence. We may interview eye witnesses, employ accident recreation experts, and obtain expert medical advice in order to present the best possible case for our clients. Contact us today for the legal representation you deserve. “Our car was totaled as a result of being rear-ended while at a stop light and I was injured. I knew I needed to call the Rector Law Firm. As a widow of a local Colorado Springs attorney, I knew that both Terry and Dan Rector, following in their father’s footsteps, would treat my case with perseverance and dignity. Their paralegal, Carrie Bush, kept me informed throughout the case. Their success was awesome! I highly encourage anyone in need of a personal injury attorney to call the Rector Law Firm.” – Joan W.